The beverage of craft beer is reaching new demographics as it becomes more and more widespread. 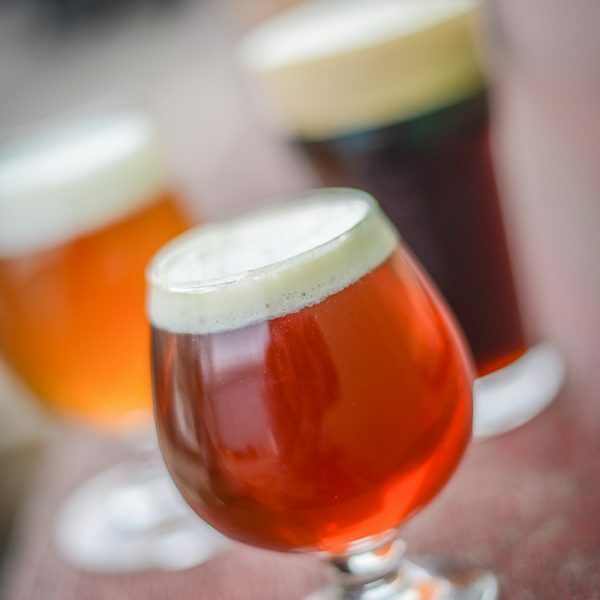 Beer geeks and aficionados are spreading the word, and there is a movement forming behind small businesses producing flavorful beers from fresh and interesting ingredients, but some aspects of the craft beer obsession are harder to swallow. Sure, everyone loves trying new and interesting beers and supporting small American entrepreneurs, but do you really need a whole selection of tailored beer glassware to get the most out of your drinking experience? Specialty glassware still isn’t essential, but it has been proven to have an effect on the flavor and aroma of beer and wine through a scientific study out of Japan. Kohji Mitsubayashi and his team infused a mesh sheet with ethanol detection agents and then used a special camera to detect what escaped from a variety of glasses at different temperatures. The study showed that some glassware, specifically the standard wine glass, acted as a trap for the gaseous ethanol around the edge of the glass to keep it incorporated into the flavor while preventing it from interfering with the aroma. Preventing diffusion, when possible, is paramount to having the optimal flavor experience with your beer or wine. This proves that the shape of your glass does influence the way that beer and wine tastes by limiting the diffusion of the gaseous ethanol. Luckily, beer has a leg up on wine in this contest because of its head. When poured properly, the head of a beer protects the intended flavor and aroma, so why not use a piece of glassware that promotes head retention? A large bulb in a glass with a narrower mouth above it promotes head retention, traps more gaseous ethanol and directs the aroma right to where you want it. Different beer styles favor different glassware types to showcase their strengths, but functionally there’s some common ground. The study also displays how temperature can change the taste and aroma of the beer both at the time of serving and while drinking. This is where a glass with a stem comes in. With a stem, you aren’t forced to grip the glass with the entire palm, which transfers much more heat than you’d think. Why not give yourself some more time to enjoy your favorite beer? Craft brewers are definitely paying attention to glassware! Left Hand Brewing Co’s collaborated with Rogue Ales and Spiegelau to create a new glass specifically for stouts to more perfectly showcase their famous Milk Stout! I’m sure you’ve also heard about the IPA glass, a collaboration from Dogfish Head Craft Brewery, Sierra Nevada Brewing Co. and Spiegelau created to enhance the hoppiest of IPAs. Brewery Ommegang hasn’t gone as far as creating their own glasses, but if you check out their store you can see that each of their flagship beers is represented by a specific type of glassware. It’s not all about the branding as some may think. Each beer is associated with a different glass because each beer’s strengths are accentuated by that style of glassware. Who could forget about Samuel Adams and the Boston Beer Co. with their highly recognizable and well-reviewed Boston Lager Pint Glass which retains the optimal features outlined above, and even has laser etching at the base of the glass to promote bubbles and aroma release. Check out CraftBeer.com’s Glassware Features overview under the downloadable resources section of the CraftBeer.com Beer and Food Course!